Rimelig: This soft body armor is for everyone! It can be applied, both in the field, and in every-day life, without a serious tax on your wallet. Get the performance you expect from AR500 Armor® Body Armor, without a sacrifice in quality or value. Constructed with Imported Aramid Fibers, Rimelig armor is designed, cut, sewn, and assembled right here in the USA. All soft armor has a limited 5 year warranty. Hybrid: Our flagship Hybrid IIIA soft body armor is constructed from industry leading materials from Honeywell Spectra Shield®, Gold Shield®, and DuPont™ Kevlar®. 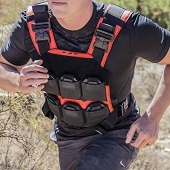 We've harnessed the full ballistic capabilities of these materials maximizing synergy between components; creating the ultimate Hybrid IIIA soft body armor panel. The result is an ultra-light, thin, high strength, and flexible armor system in a 1lb package (10" x 12" ASC model)! All soft armor has a limited 5 year warranty.